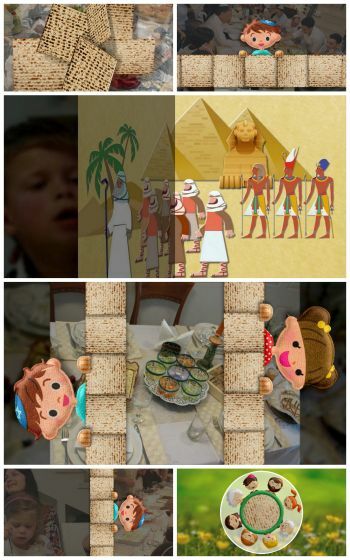 A set of of 12 transitions, and two bonus slide styles, for the Jewish Passover - Pesach. 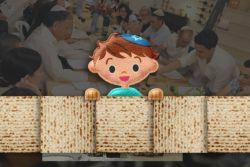 With very cute animation related to this holiday: the family that gathers at Seder, the reading of the Haggadah, eating Matzot, and the coming of spring. 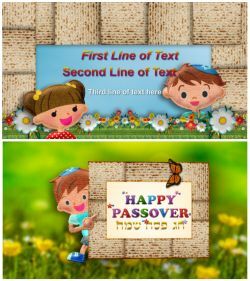 Suitable for Passover shows, for greetings, or for Bar/Bat Mitzvah shows. - Happy Passover Greeting style, which is also given as a freebie You can see it here. For your ease of use, I've decided to include it in this pack as well.